Here is an opportunity to have a set of 12 English Staffordshire Salt-glaze Plates. 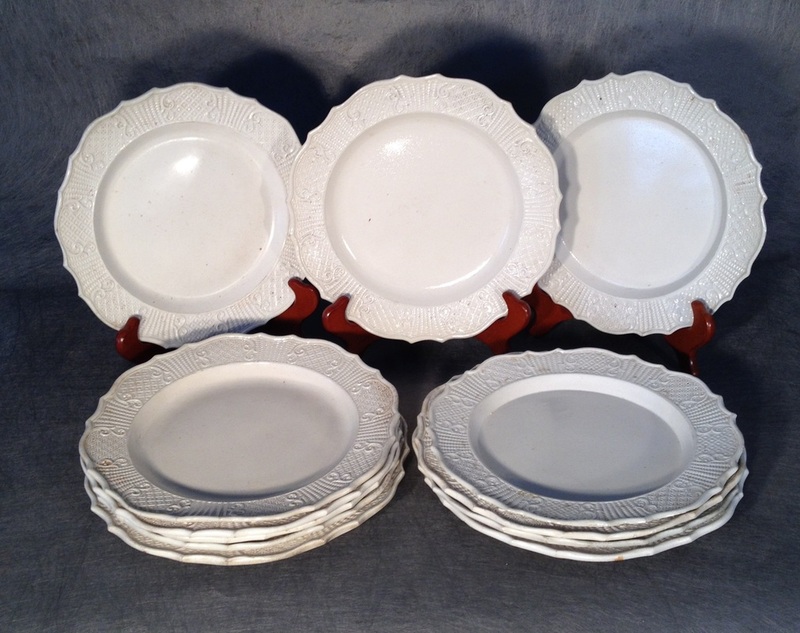 These are 9" Dinner plates, and they are in excellent condition, with a couple having very minor edge flakes or tiny foot flakes. Some of the plates show some slight discoloration typically found in salt-glaze after the firing. 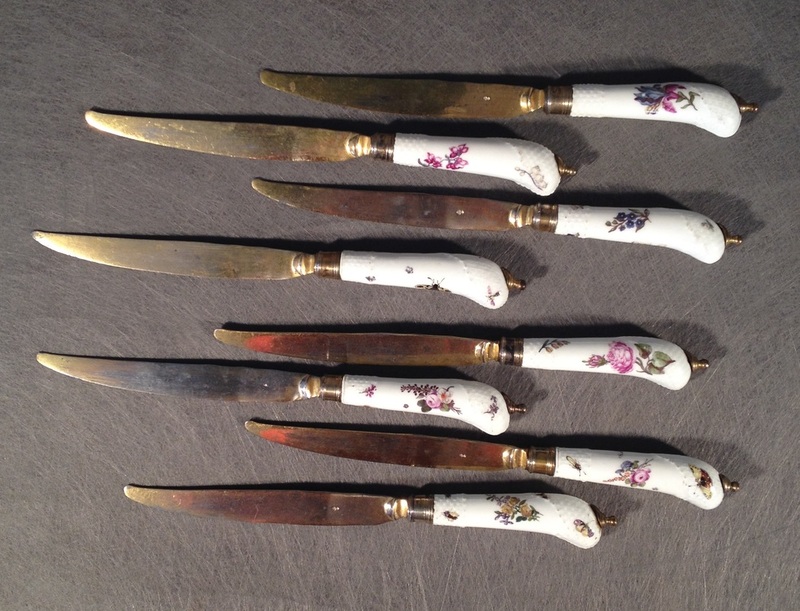 There is no restoration or cracks in any of the set. 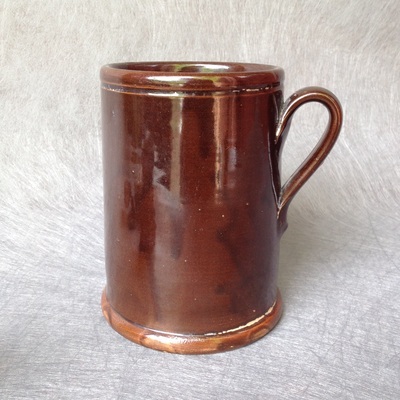 Here is a Brown Stoneware Mug, that probably dates from the second half of the 19th century. 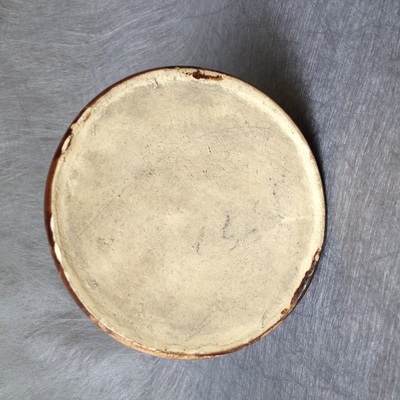 It is probably of Pennsylvania origin, and only has some minor surface imperfections. 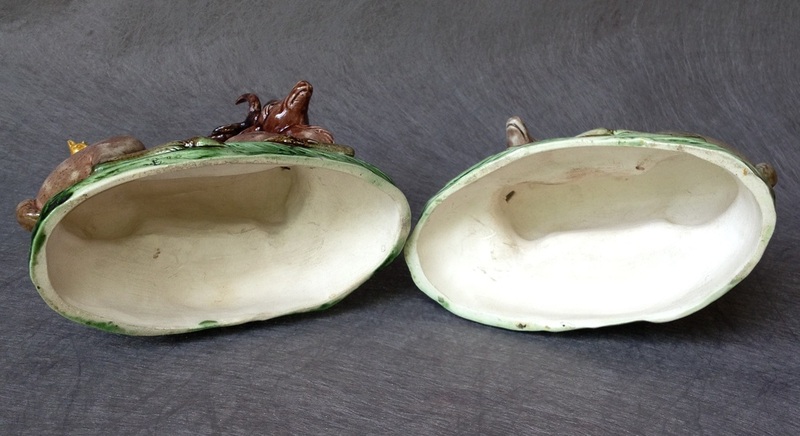 There are a couple of glaze separations along the ribs that happened in the firing, and there is one little glaze "stick" in the side of the body. 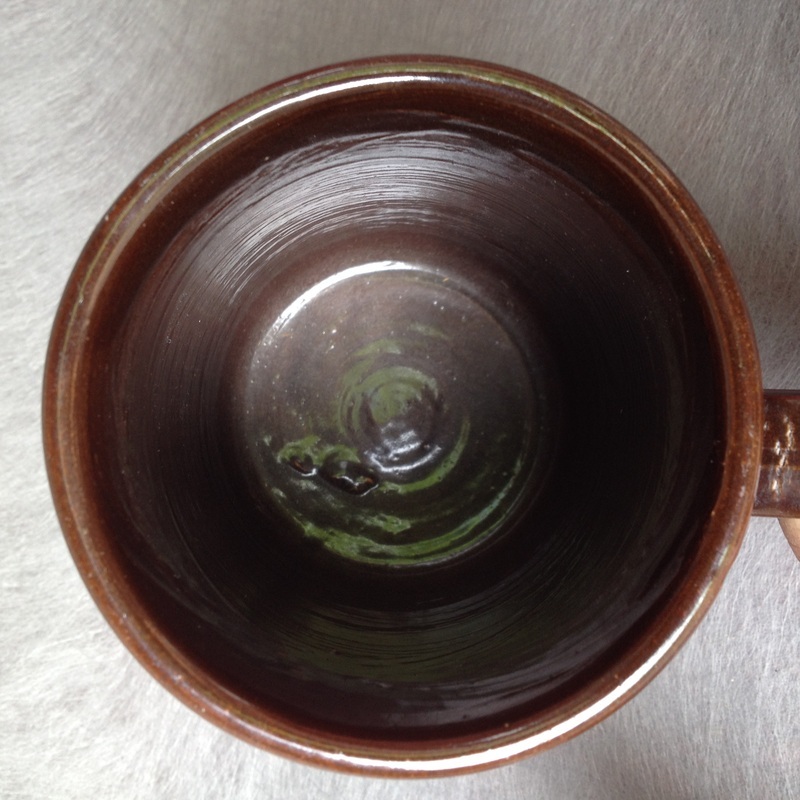 There are no chips or cracks otherwise. 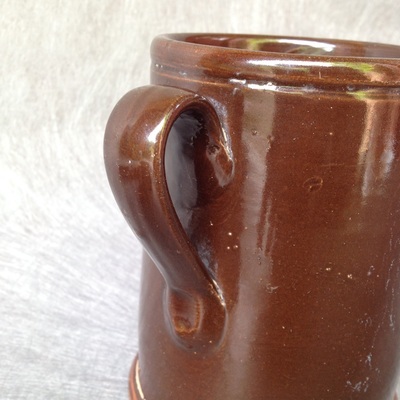 It is 5 5/8" tall, and 3 7/8" in dia. 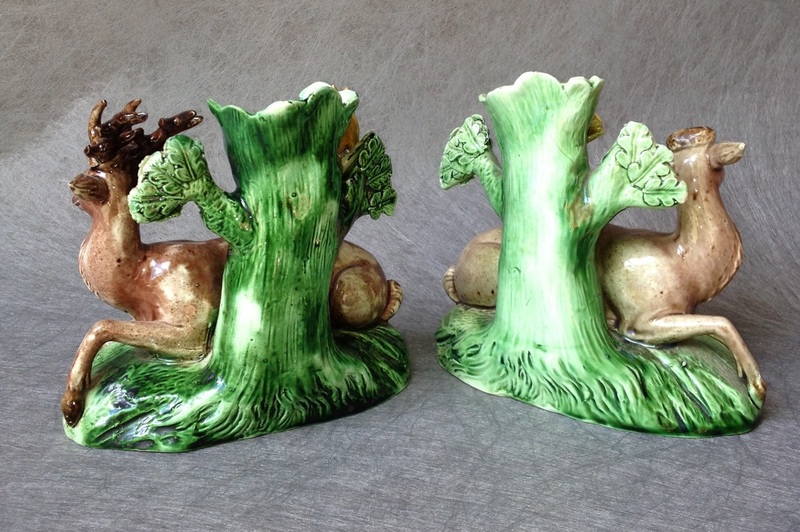 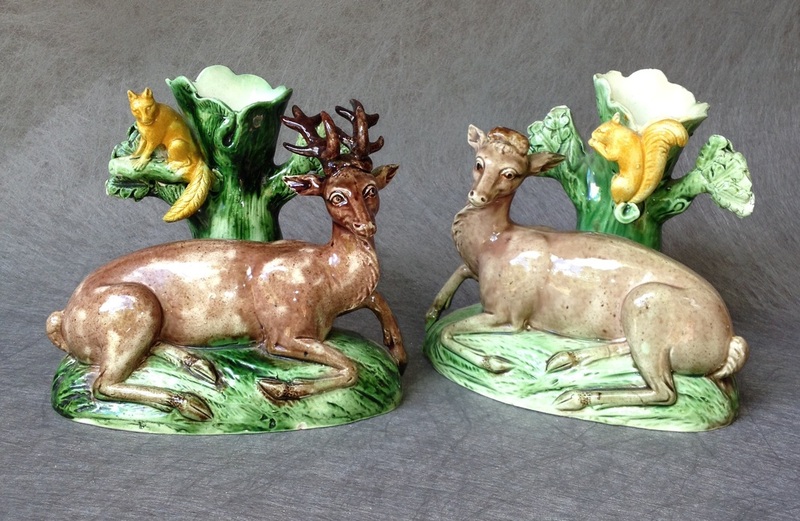 This is a wonderful pair of Ralph Wood Staffordshire spill holders, in the form of a stag and a doe that probably date from the 1780's. There is only the most minor restoration that has been done to the stag's antlers, and there are a couple of minute glaze flakes on some of the outer edges of the composition. They are about 5" high, and 5 1/2" long.